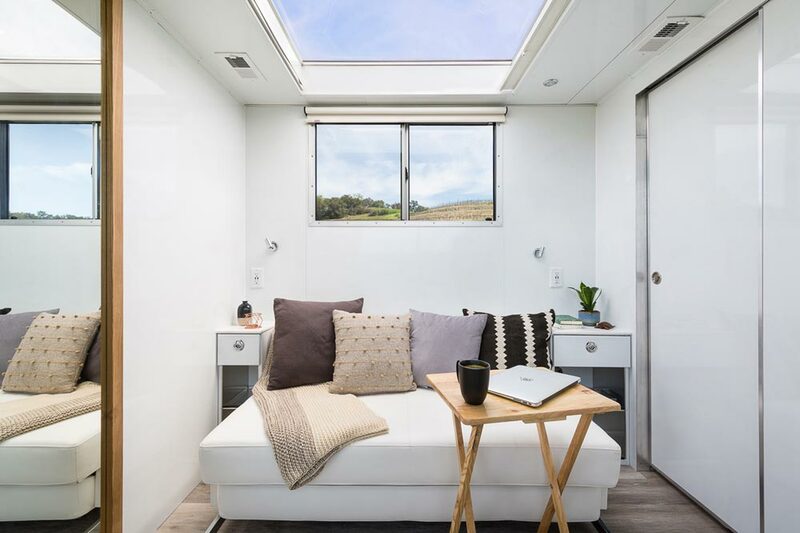 Designed by architect Matthew Hofmann, the Living Vehicle is an all-aluminum tiny house capable of supporting two people living off-grid for a month. 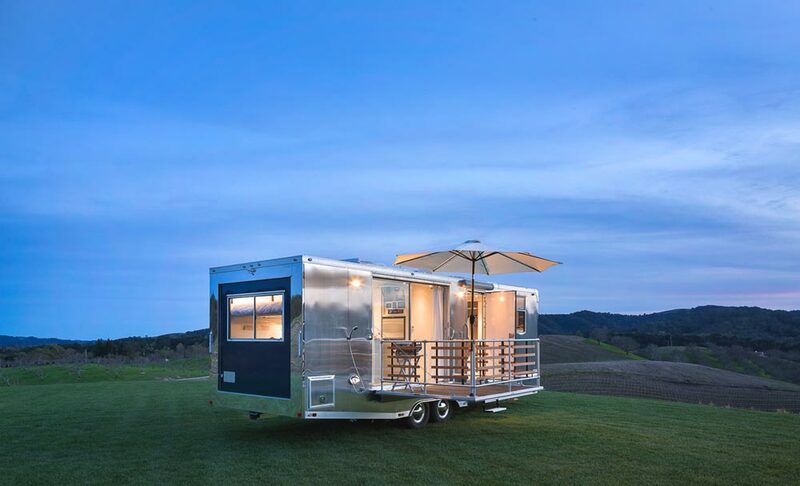 The design and features come from Matthew’s years of experience living in a 1978 Airstream that he renovated in 2009. 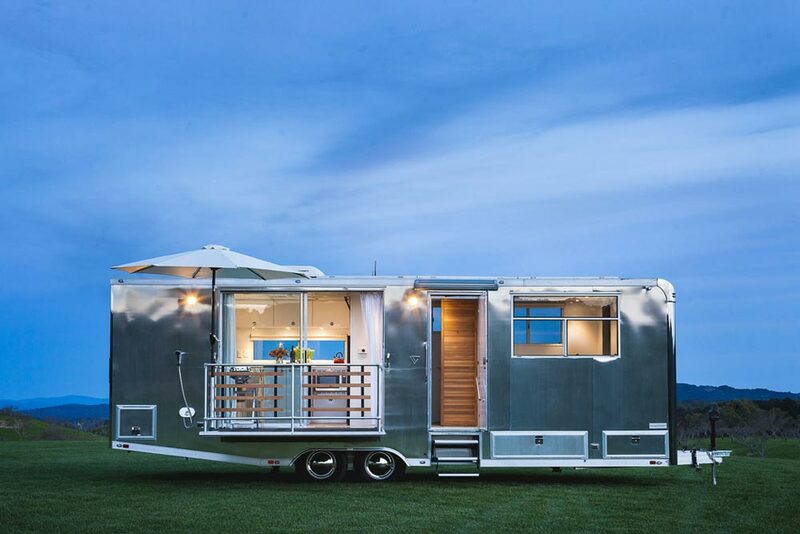 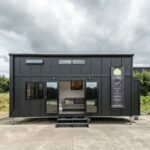 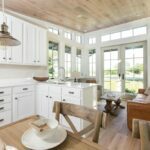 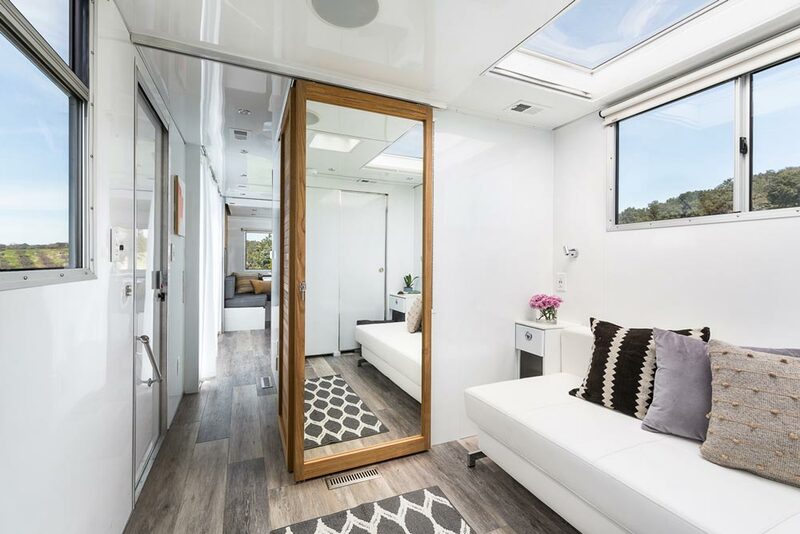 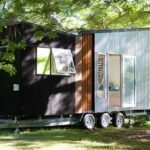 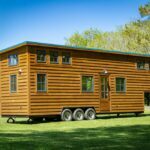 The 212-square-foot home is 31-feet long and features a heat treated white aluminum interior, clam-shell folding door that leads out onto an 8-foot deck, and Euroloft bed. 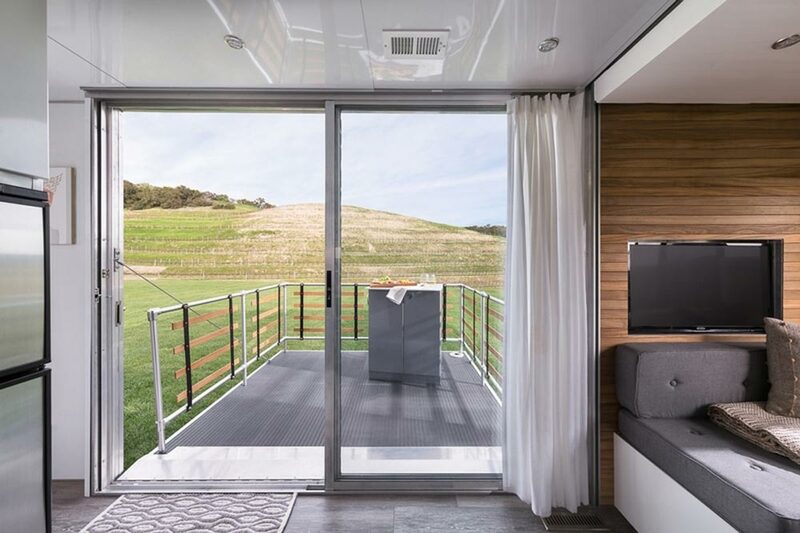 The solar power array includes four 150-watt solar panels, two lithium ion batteries, and a 2800 watt power inverter. 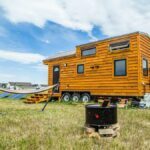 There are also two 30-gallon propane tanks that can power the refrigerator, dishwasher, furnace, and outdoor BBQ if cloudy weather prohibits the use of solar. 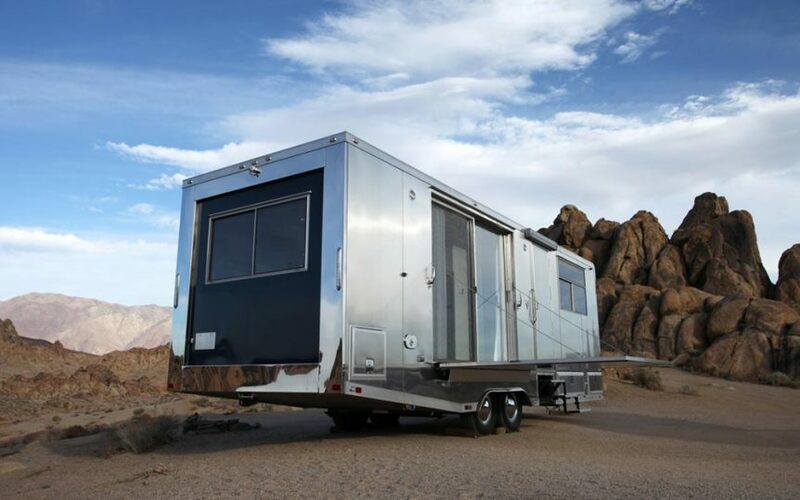 Since fresh water is the greatest limiting factor for living off-grid, the Living Vehicle has been equipped with a 100-gallon freshwater tank, along with a 62-gallon grey water tank and a 45-gallon black water tank. 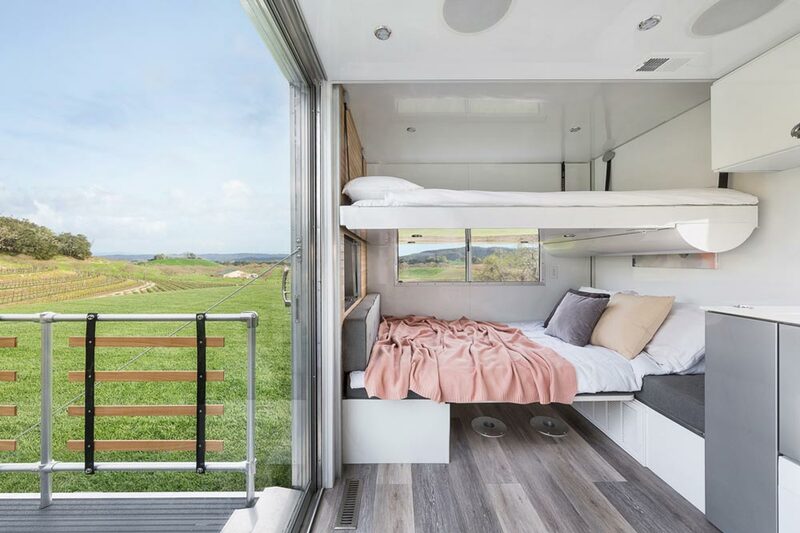 The Living Vehicle has the capacity to sleep six with its main floor queen bedroom, convertible double sofa, and Euroloft bed that automatically lowers from the ceiling. 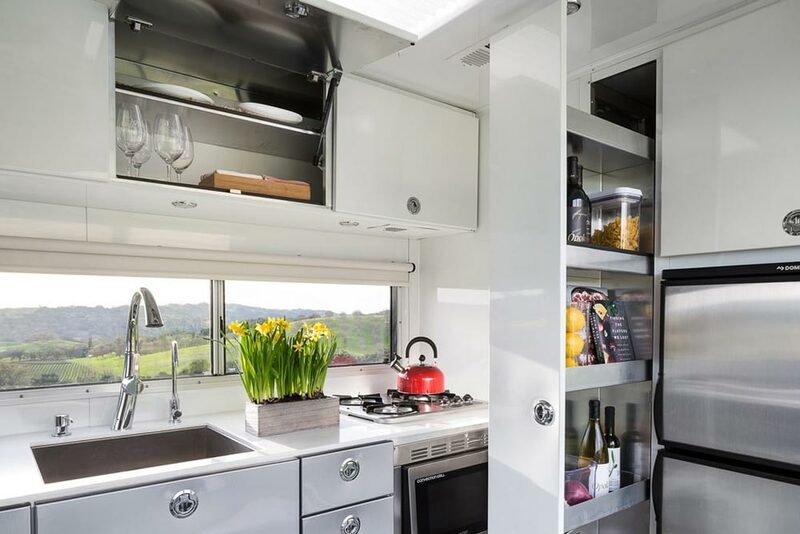 The kitchen cabinets are made with aluminum tube frames and aluminum sheet doors and drawers. 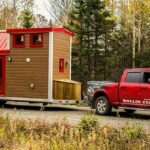 A modular island can easily be moved to provide an additional workspace and storage option. 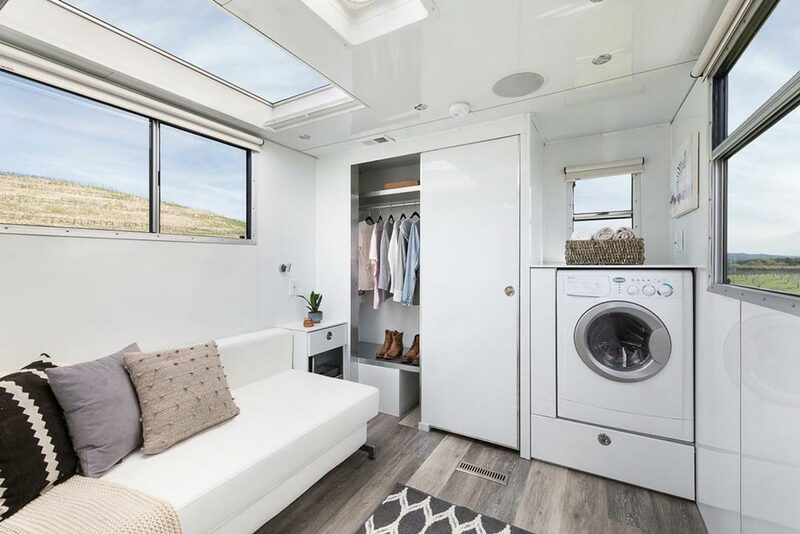 Appliances include a 7 cu.ft. 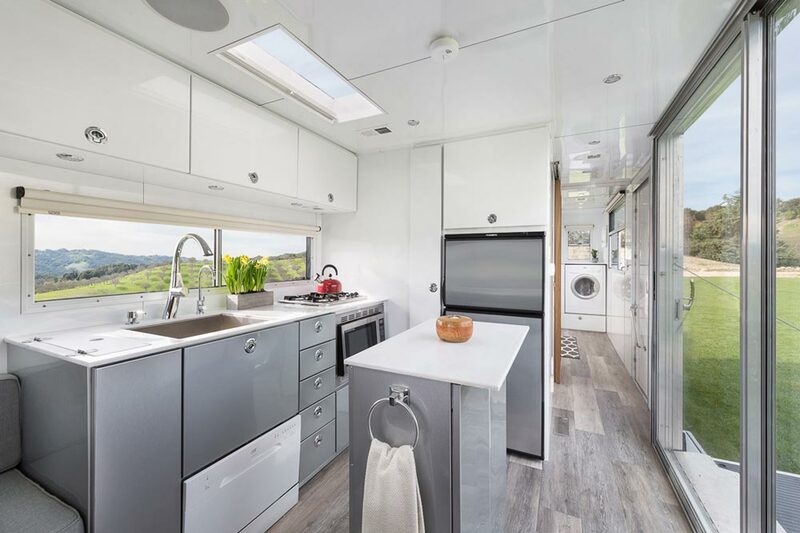 refrigerator/freezer, two burner gas cooktop, dishwasher, oven, and microwave. 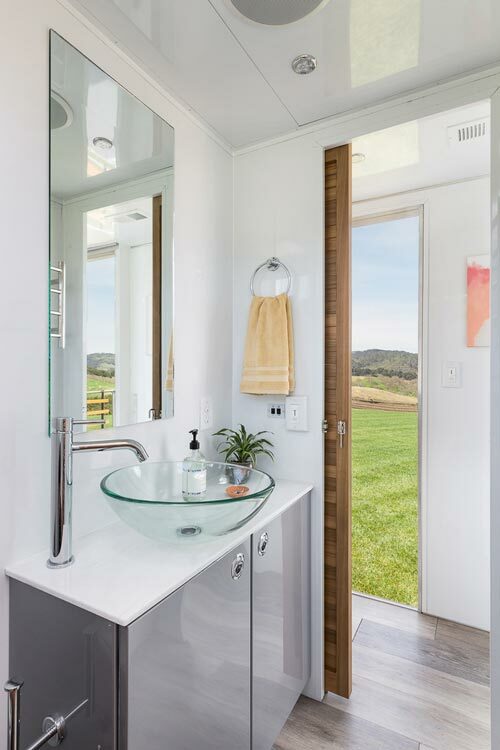 The spa-like bathroom has a 30″x30″ shower with teak wall and floor mat, rain shower head, and skylight. 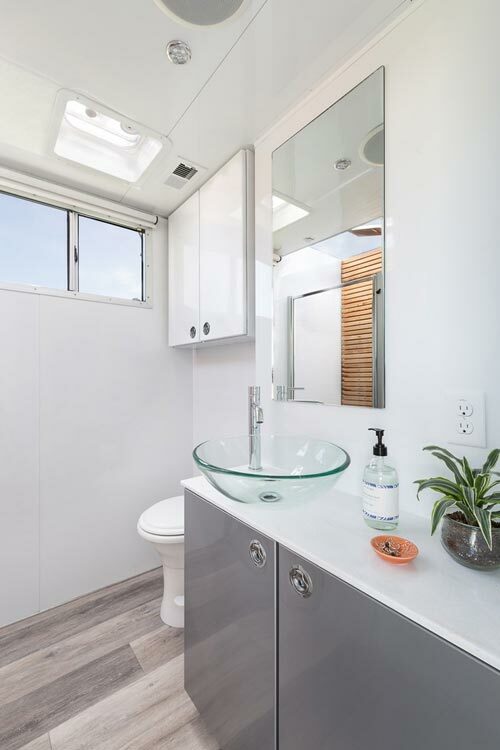 The bathroom also includes a radiant heat towel warmer, glass vessel sink, and RV toilet. There are several premium features included in the Living Vehicle. 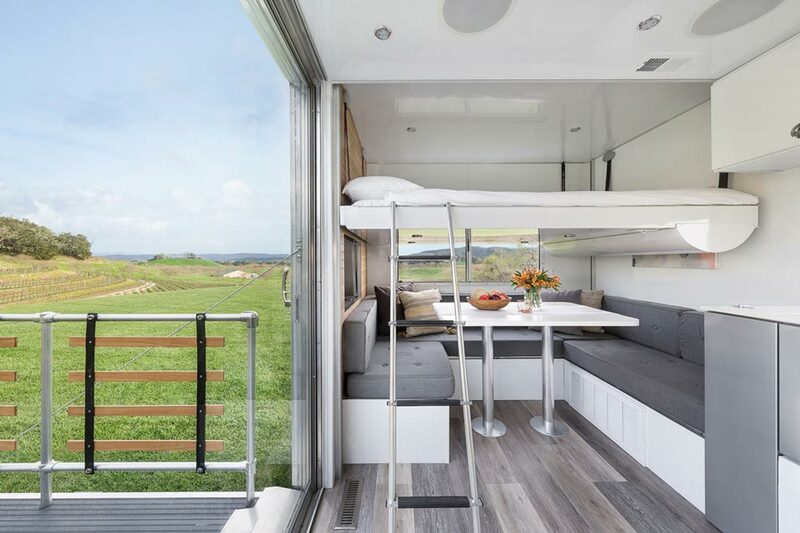 For more details about what is included and what upgrades are available, please visit the Living Vehicle specifications.